Welcome back to another review for yet another soft shell jacket. 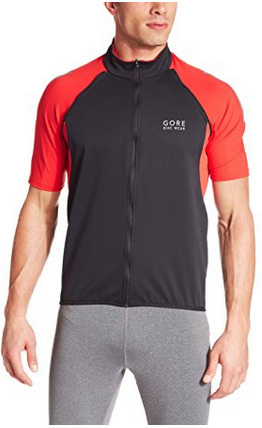 This one is also for the sportsmen among you and it is the Phantom 2.0 by Gore, from their Gore Bike Wear® collection. The Bike Wear line features a variety of different clothes and we singled out Phantom, for several reasons. First of all, it’s one of their best soft shells and you know we can never say “no” to a good softshell. Secondly, it is such a versatile jacket that will adapt to any sport you practice and provide the best protection and comfort. 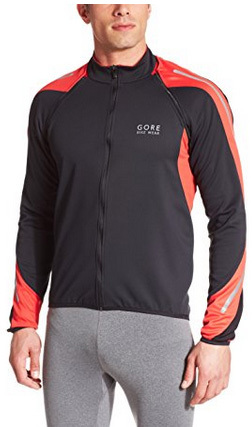 Gore is the brand that invented the GORE-TEX membrane, one of the best protective layers for sports and outdoor clothing. However, they have not just stopped at that. They have created other membranes and special fabrics, one of which is WINDSTOPPER, that is part of Phantom’s outer shell. We will take a more detailed look at this special fabric and all the features that this jacket has. With that being said, let’s get started with this review. The Phantom 2.0 is a soft shell that has been specifically designed for cyclists. 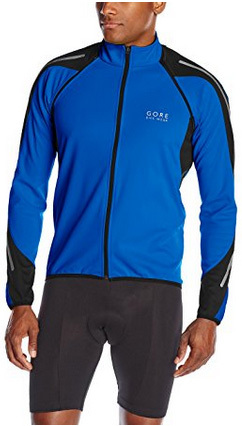 It is a lightweight jacket which is light on the body and very comfortable. As such, it will not slow you down while on the bike and will not limit your upper body movement. When it comes to its endurance against weather elements, there is nothing to worry about. 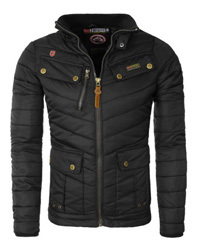 Whether it is windy, cold, raining or sunshine there is nothing that can stop this jacket. Because of the WINDSTOPPER® technology on the outer shell, no matter how crazy or cold the wind is, you can rest assured it will not make it through the jacket. This is quite important for cyclists. 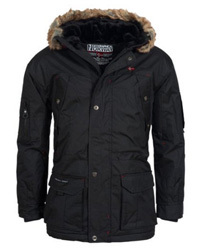 For temperature-control, this jacket is highly breathable and properly insulated. There is enough air flow to prevent overheating and which allows perspiration to leave the body. As for insulation, this jacket will perfectly maintain body heat at an adequate level, in order to keep you just the right temperature. That’s all good and well, but what about those hot sunny days? You might like this jacket a lot for the cooler months, but might be unsure about the summer heat. Well, when we said that Phantom was designed for cyclists, we meant that it takes into account every possibility you might come across, weather-wise. For those hot days the sleeves are completely detachable with zippers. This way the jacket turns into a vest soft shell with plenty of air flow to cool the body down. When we take a look from top to bottom, the jacket comes with a medium-height stand-up collar, a water-resistant main zipper and two elastic back pockets. The sleeves have elastic cuffs and are designed for maximum freedom while moving around. The hem comes in a high-low cut, in order to keep the back covered while on the bike. 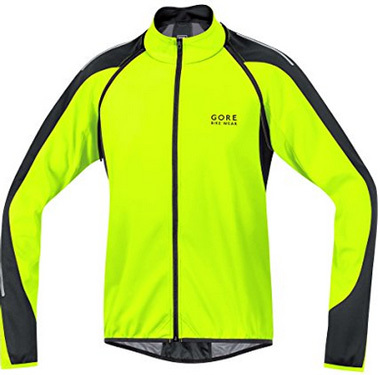 In itself, the fabric is 100% Polyester for the WINDSTOPPER membrane and as an inner lining. While the main body is 85% Nylon and 15% Elastane for more elasticity and comfort. 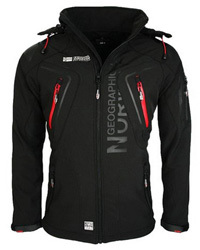 The outer WINDSTOPPER Active shell membrane is windproof, fully breathable and water-resistant. What’s interesting is how thin it actually is, making the jacket quite lightweight, not bulky and easy to pack away. This is very important not just during cycling but also for travelling. There is good news for this part of the review, there are plenty of color options. These colors come in different combinations. However, the colors for the main body include: Black, Orange, Blue, Ruby Red, White, Red, Neon yellow, Ivy green, Weekend green and Navy. For the details, these include the brand’s logo and the WINDSTOPPER logo on the back, as well as the reflective patches, which add to the look, while keeping you protected at night. 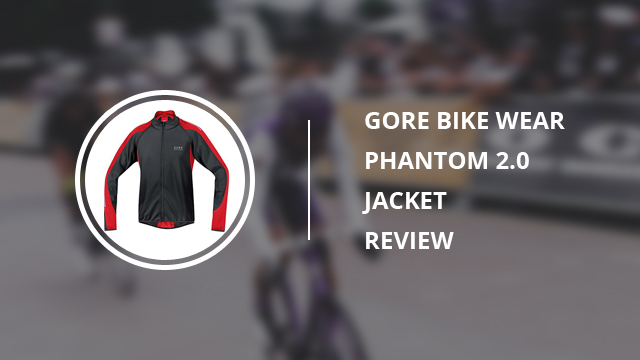 The Phantom 2.0 cycling jacket has some of the best online reviews, which provide a good look at its performance, while also shedding some light on some issues that might come up. When it comes to performance it truly excels. 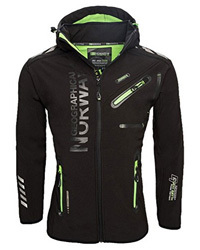 Be it wind-resistance, water-resistance or temperature control, this jacket gets the job done. The practical sleeves are one of the best features and the back pockets are easily accessible and quite well-designed. For the downside, yes, it’s once again the size issue. However, Phantom tends to be on the looser side, so look out for that. We are certain that the Phantom 2.0 has definitely caught your attention. 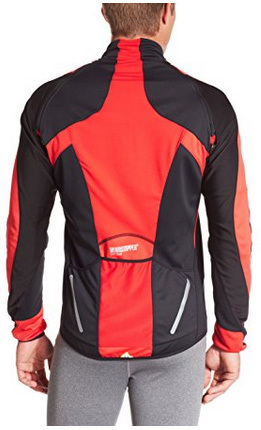 We would highly recommend this jacket if you are active throughout the year and especially if you are a cyclist. 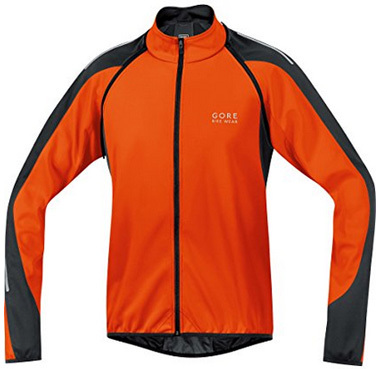 Gore’s sports gear are worth a try, as not only do they excel in quality but also in versatility.